If you want to turn your simple photos into amazing and professional photographs on your iPhone, iPad and other iOS devices, you should check out these 7 best PIP Camera Effect Apps, that allow you to add different types of visual effects to your photos. There are lots of PIP camera apps on Appstore, but here we've listed only 7 best PIP Camera Effect apps for iPhone and iPad. 1. PIP Camera-Selfie Cam&Pic Collage&Photo Editor ( iPhone + iPad ) :- It is one of the best and fantastic PIP Camera-Selfie Cam&Pic Collage&Photo Editor apps for iPhone and iPad. With the help of this PIP camera app, you can become a professional photographer, you can create amazing and beautiful photos within few seconds, you can export your creation and, you can make your photos extra fun with creative shots. 2. InstaMag - Free Pic and Photo Collage Maker ( iPhone + iPad ) :- If you want to create amazing and beautiful collages in few seconds, you can use InstaMag app on your iPhone and iPad. This photo collage maker app has lots of advance and unique features such as more that 200 elegantly designed styles and making magazine style collages, more than 300 design styles, styles come in Portrait, Square, Landscape, and stripes modes to fit all your purposes, editable text, flip layout and much more. 3. PIP Camera Effects ( iPhone + iPad ) :- With the help of PIP Camera Effects app, you can add different styles of PIP effects instant in one finger tap, you can set your photo into stylish 3D photo frames, you can do your photo in photo frame and apply with more than 50 photo frame with the different shape & style and, you can also make your photo in air balloon, book, bubble, water drop, flowers, classic, watch, frame and more. 4. 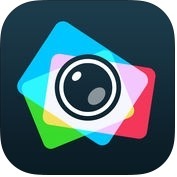 Pip Camera - Photo Collage Maker For Instagram ( iPhone + iPad ) :- If you want to make your photos extra ordinary and extra funny with creative shots, you can use Pip Camera-Photo Collage Maker For Instagram app. This PIP camera effects app has several effective and useful features such as easy to use, powerful and more fun with the addition of the new PIP effects, full featured photo editor, beautiful UI, share with friends and more. You can also add unique and amazing filters like vintage, sepia etc and, you can add beautiful frames to your pictures. 5. Pip Drop ART - PIP Camera Picture Editor ( iPhone + iPad ) :- Pip Drop ART is one of the best and beautiful user-friendly PIP camera picture editor apps for iPhone and iPad. 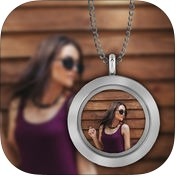 This is probably the greatest companion for self-snapshots. With the help of this PIP camera app, you can make your photos more beautiful with lots of effects, you can create amazing pictures with selected different PIP frames and, you can also create PIP square photo picture easily and effortlessly on your iPhone and iPad. 6. 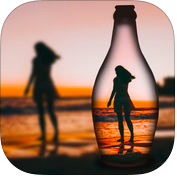 PIP Magic - Selfie Camera App ( iPhone + iPad ) :- If you want to make beautiful photo as well as background in any frame or shape, you can PIP Magic app on you iPhone and iPad. 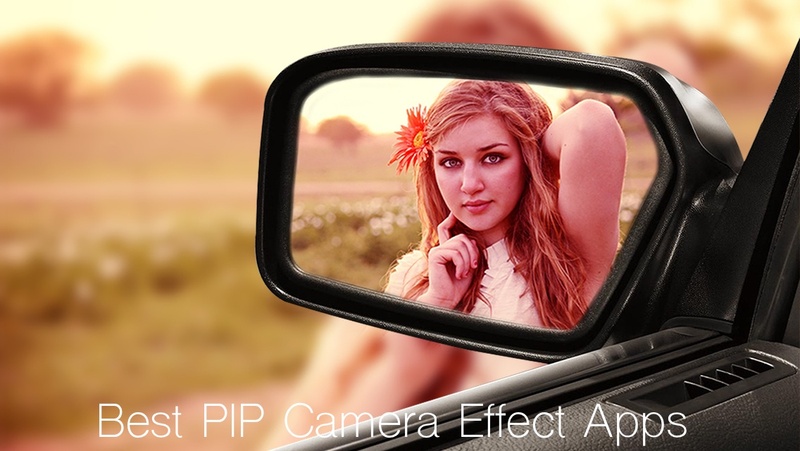 With the help of this PIP camera effect app, you can choose one of the PIP frame from the available photo frames, you can apply photo effects to your photo to make it more amazing & attractive. 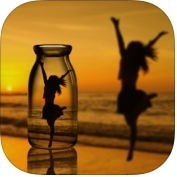 You can also save your beautiful and creative PIP photo and share them with your friends and family via social networks. 7. 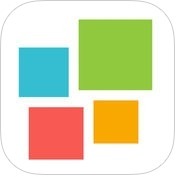 FotoRus -Camera & Photo Editor & Pic Collage Maker ( iPhone + iPad ) :- Do you want to be a great and professional photographer? If yes, you can use FotoRus camera & photo editor and pic collage maker app on your iPhone and iPad. FotoRus app has lots of advanced features such as professional edit beauty, special effects, sticker, secret album etc, more than 100 beautiful stickers with funny, cute & girly themes, more than 100 square, portrait, landscape and strips format & styles, more than a dozen powerful editing functions and more. You can also create creative and professional-studio selfie with one finger tap on your iPhone and iPad.